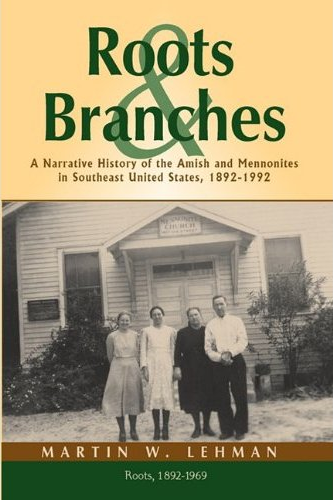 Martin W.Lehman has written Roots & Branches, A Narrative History of the Amish and Mennonites in Southeast United States, 1892,-1992. You may purchase Vol. 1, Roots 1982-1969, here. You can purchase Volume 2 Branches – 1970-1992 at this page. Martin Lehman has also written the forward to an important new 2011 book by biblical scholar C. Norman Kraus: “On Being Human,” Sexual Orientation and the Image of God. I so enjoyed reading the site, brought back wonderful memories when I attended Sharon School and Church. Those early years were a great influence, I still remember the lessons of kindergarten…”God is love…He gave his only begotten son…Jesus loves you…your body is the temple of God…” they formed the foundation of my life. Thank you so much for your labor of love. A book not on your list that your many readers may wish to obtain is “The Antithesis of Job”, first published in 1948 by The Sword & Trumpet, edited at that time by your father. The copy in hand came to us a year or so ago, free from The Fellowship of Concerned Mennonites, apparently because we are on the mailing list of its newsletter, “The Informer”. 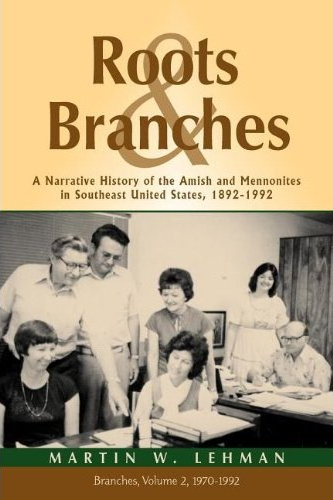 The current edition, published by Maranatha Press, 10575 West Main Road, North East PA 16428, contains a blurb by George Brunk II from the original printing. So you have an even wider audience than you may have realized. Enjoy. I am aware that The Antithesis is being distributed. 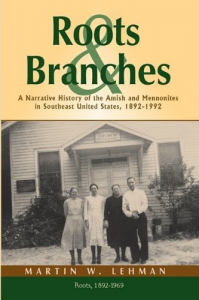 I now have one copy given to me recently by the historical library of Goshen College. It’s good to hear from you, Del.